I’ve been crocheting for 30 years now and have decided that it’s time to share my love with everyone else. I love that I can take a skein of yarn and with a little patience and a lot of love, create something beautiful! 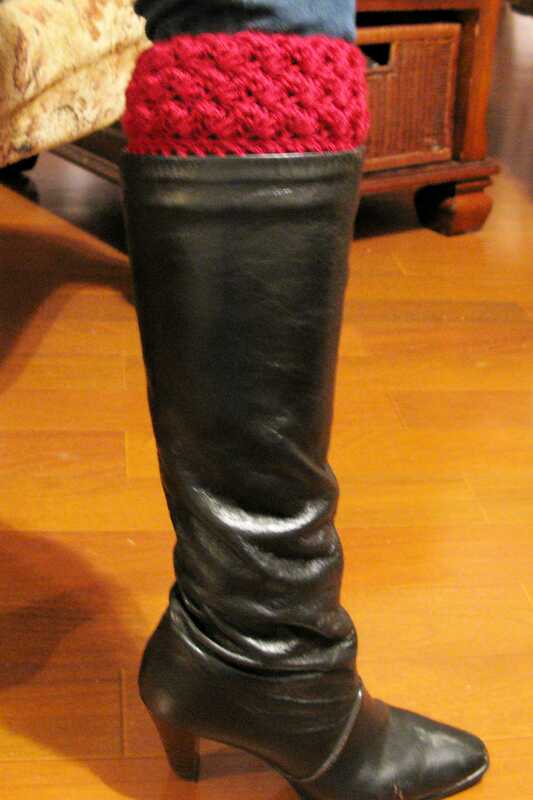 Although I have crocheted for a while, I have just recently found a passion to creating my own patterns. I am still “young” in this but have found it very challenging! Of course, it fits my personality to have challenges in my life. 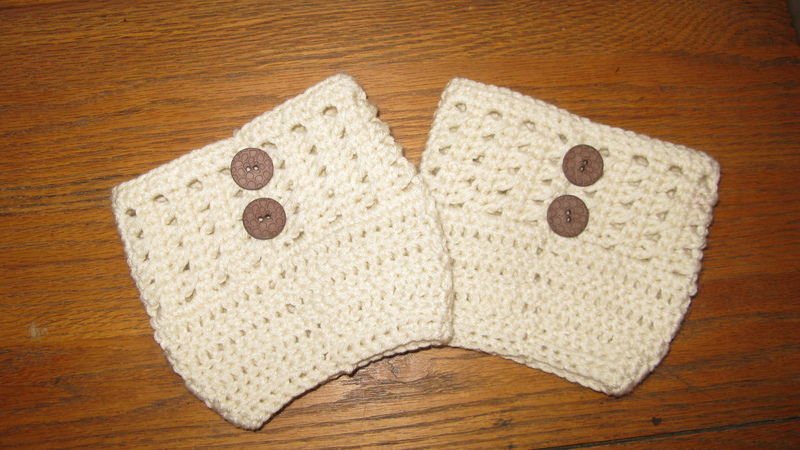 Here is my first original boot cuffs! Happy Crocheting to all my fellow yarn lovers!